MANILA, Philippines The vice mayor of a southern Philippine city has offered a $121,000 reward for the decapitated head of the alleged leader of a gang of car thieves. Davao City Vice Mayor Rodrigo Duterte, known for being tough on criminals, told a news conference in Davao on Wednesday that he would give 2 million pesos ($48,400) if suspect Ryan Yu is arrested and 4 million pesos ($96,800) if he's killed. He said he'd add another 1 million pesos ($24,200) if Yu's decapitated head is delivered to him "on ice." 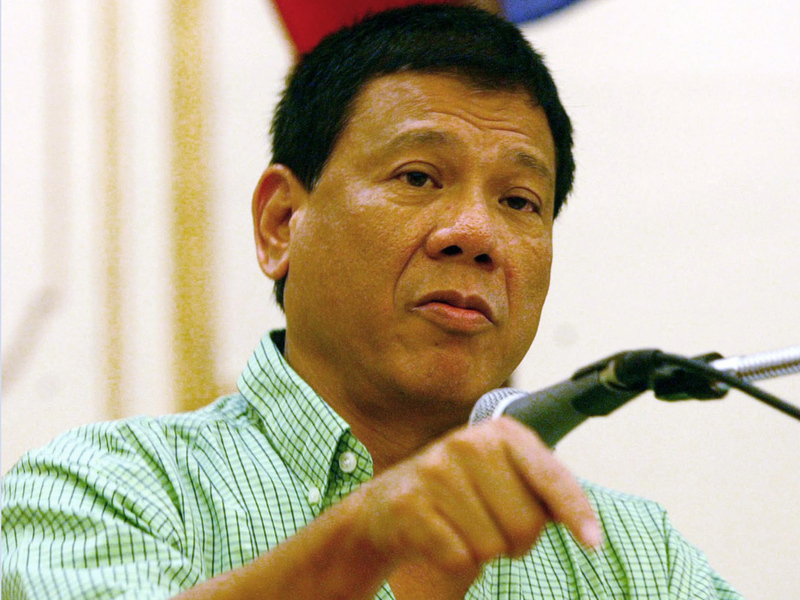 Duterte's offer comes as he runs virtually unopposed to regain his seat as mayor of Davao. His daughter is currently the mayor but won't seek reelection. His son, Paolo, is running as his vice mayor. "Make your choice. Either you want to earn 2 million, or you want to earn 4 million, or if you want to be morbid about it  bring the head of Ryan Yu to me and I will add 1 million," he said. He suggested putting the head in an ice bag "so it won't smell bad."